Each small black dot on the map below represents a single white rhino sighting at that exact point within the Kruger National Park. 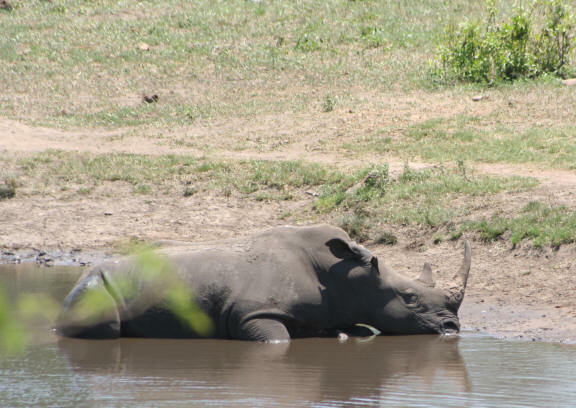 It does not take into account how many white rhinos were seen a that point in time only that a sighting was made by a ranger on patrol in the game reserve. Refer to the table below and to see more detail on all "Big 5" sightings follow this link. Where there are dense clusters of black rhino sighting dots suggests this would be a prime area for spotting the white rhino. The Pretoriuskop area in the south west of the park stands out as prime Rhino territory. Take note of the occasional sighting in Mozambique ... the Transfrontier Park has allowed some animals to migrate. White rhino are grazing animals as distinct from the more ferocious and intimidating black rhino that browses off trees and their leaves. The term white in rhino is a misinterpretation of the Afrikaans word "wyd" referring to wide (as in wide mouth). 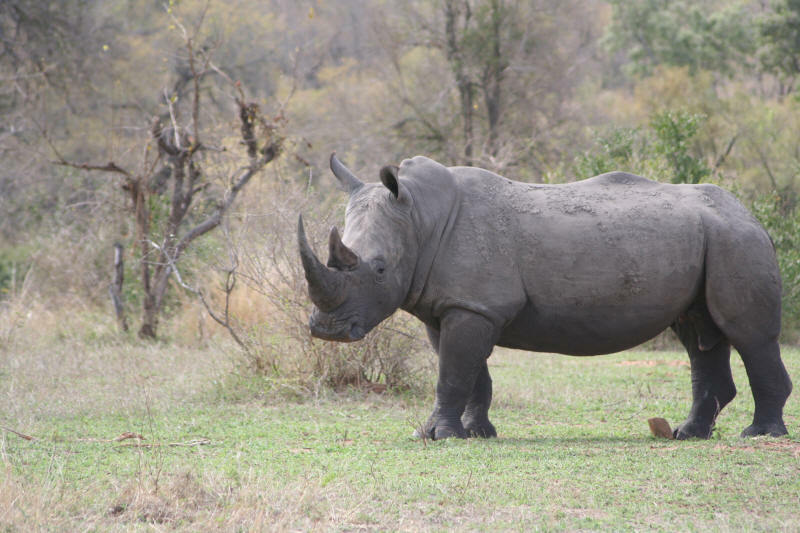 The white rhino has a broad or wide mouth whilst the black rhino has a pouted mouth used for browsing.